Everyone has rights. Employees, injured individuals, harassment victims — everyone. Those rights may be afforded under the law, insurance contracts, or other means. But no matter where the rights themselves are instated, they should be honored and enforced without question. Unfortunately, that isn’t always the case. Every day, rights get violated, contracts are not honored, and insurance companies refuse to pay. When such a situation arises, you have to make a choice. You can either sit back and allow the injustice to take place, or you can fight to protect your rights. When it becomes necessary to take legal action in pursuit of your rights, you want a lawyer who will do what it takes to get you the best possible results. 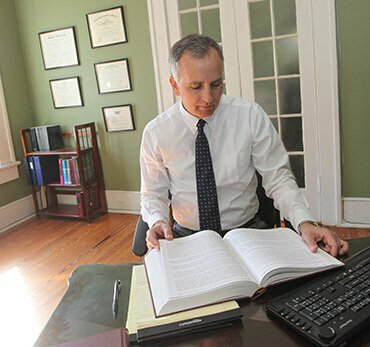 At the Jacksonville law offices of Glober Law Firm, I zealously advocate for my clients because I believe that their rights should be a given. When you come to me for help, I will represent you with dedication and drive, through trial if necessary, in order to safeguard your legal rights, interests, and overall well-being. I believe that it takes serious action to get results, and a strong stance to open the door to fair negotiations. My firm offers compassionate help to those in need of legal advice in personal injury cases, and there’s no discrimination. Whether it’s a dog bite, a slip or fall, harassment, or an accident that brings you to my door, I will treat you with the utmost respect and give your case my full attention. When it comes to finding legal representation, it’s important to understand that there is no substitute for careful investigation, thorough research, and legal experience. 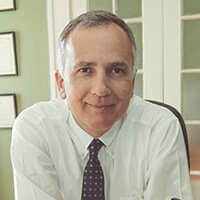 In addition to my personalized approach, I offer more than 25 years of experience in personal injury cases of every variety. Personal injury victims deserve full support. That’s why I take the concept of an open door policy to the next level. I believe that the solution to any problem starts with intensive listening. That’s why I always create a channel of strong, open communication with both my clients and the opposing counsel. It takes a lot more than a cookie-cutter solution to resolve each individual case that comes through my door. That’s why I always keep an open mind. Unique cases require unique solutions. When I take on a client, I choose to be not just their counselor, but also their guide and their ally. And that choice starts with accessibility. My door is always open, and my phone is always on. After a difficult injury, a tragic loss, or a frightening physical attack, you may not be in the best condition to speak for yourself. Fortunately, you don’t have to do it alone. I understand the struggles that come along with personal injuries, and I have the knowledge, experience, and tools to help you speak out and get the compensation you deserve. The unfortunate truth is that no matter how difficult your journey may be, you can count on the other side having their strategy in order. Whether it’s an individual, a corporation, or an insurance company denying your claim, their task is much easier than yours. Their sole focus is clearing their name, whereas you have a new realm of concerns to worry about — making up for lost income, finding the money to pay for expensive medical bills, arranging for continuing medical care, getting back to work, helping your family recover — the list goes on. In the fight to protect their assets, your opponent may lose sight of just how much damage they’ve really done, but I won’t. Your rights, your interests, and your recovery are my greatest concern, and I will fight on your behalf until we reach the best possible resolution. And, in the interest of protecting your rights, assets, and health, my firm will charge no fee for our services unless I recover financial compensation for you. Add that to a genuinely caring staff, and you can bet you’ll feel safe and secure when you come to us for help. If a personal injury has affected your life, you may be feeling lost, confused, angry or all of the above. At Glober Law Firm, we offer compassionate help to those in need of legal advice. We’ll fend off the other litigation team and provide the room you need to get started on your healing process. When you’re ready, we’ll present the legal options open to you and get started on recovering your due compensation.